Want to feel great and relaxed while doing your laundry? This is what DIY Laundry is all about. 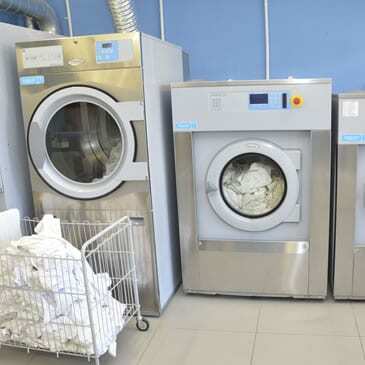 In a self-service coin laundry, customers look for convenience, affordability, cost effectiveness and no hassles. DIY Laundry is a new concept layout in coin-operated laundry, highly recognized by its customers. It is a franchise business which offers a modern atmosphere, a clean environment and a unique image. Mr. William Lau from Styltech Pte Ltd, our coin-operated segment dealer, is the creative mind behind DIY Laundry. When he set up his first self-service coin shop, he was looking for a supplier able to answer to all of his needs for equipment reliability, low energy and water consumption without compromising performance and quality results. When DIY Laundry set up its first commercial laundry shop in Singapore they wanted something that matched with the unique and modern shop design. This is why they chose Electrolux Professional. It was the only supplier able to match their Concept layout with a unique and modern aesthetic design that other competitors could not provide. This is an important advantage that also contributed to providing a better working atmosphere for the customers. Not only did Electrolux Professional fulfil all of these needs but it was also able to provide the best quality in service. 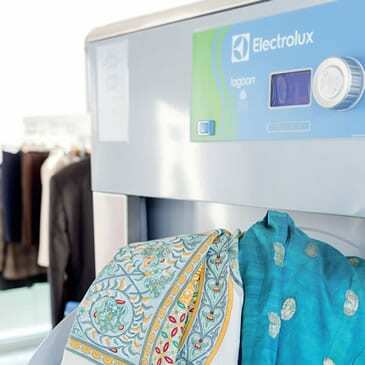 In addition, by having a head office in Singapore, Electrolux Professional was able to offer the best local support in transferring expertise and knowledge to the owners in the first set up of their laundry business. The commercial laundry business offers many advantages with respect to other businesses. A “self-service” business means there is no labour involved. Unlike other businesses, the shop is open 24/7 with a maximum working capacity of 80 kg per half hour, so the owner can fully utilize the rental. In this context, Electrolux Professional is able to provide quality and repayable machines with low running costs due to low energy and water consumptions.